Last year Kylie was snapped wearing a crop coat in a vibrant yellow. 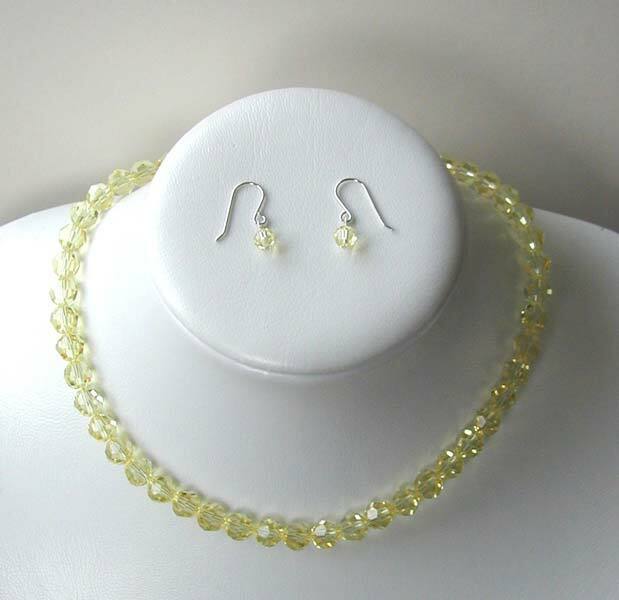 As summer is coming and bold block colours will be in fashion, it inspired me to make a 8mm swarovksi beaded necklace in a beautiful refreshing, sunny yellow. This piece is 15" long with a sterling silver clasp. Great to dress up any holiday outfit, and to complete the set the necklace comes with sterling silver drop earrings, again made with swarovski beads.